Cape Eleuthera Institute and The Island School welcomed 18 South Eleutheran kids to campus this summer. Students participated in and were exposed to some of Cape Eleuthera Institute’s various research projects. Students took on the role of citizen scientists doing a conch survey at Wemyss Bight beach for CEI’s conch research program. They also contributed to research on bonefish and the flats ecosystem by seining at Broad Creek. 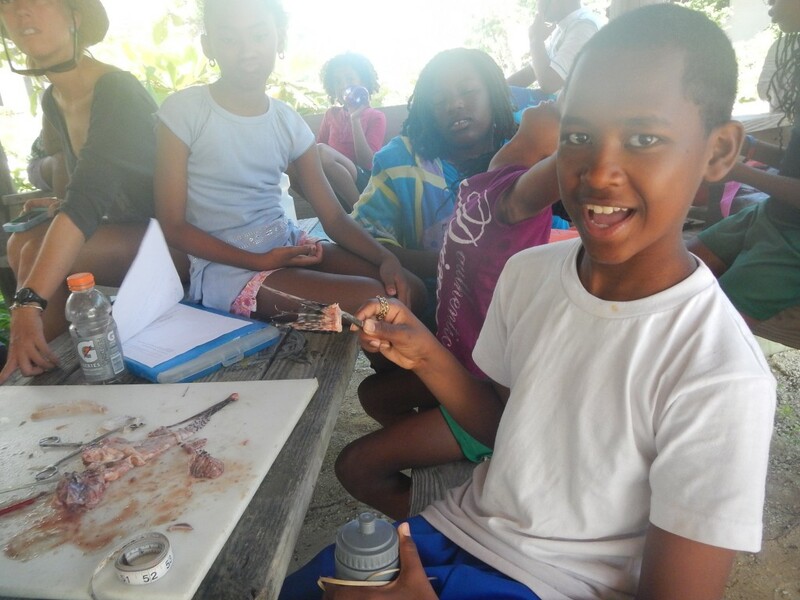 Students learned about the invasive lionfish and its effects on Caribbean reefs by partaking in a class discussion, as well as a lionfish dissection. A Bahamian geology lesson on the sandbar was a great way to kick off the 40th anniversary of The Bahamas’ independence! Students snorkeled the sand areas around the sandbar where they discovered lots of critters—sea stars, sea cucumbers, sand dollars, heart urchins, milk conch, juvenile queen conch, sea biscuits, and lots more! For their last day, they headed to Rock Sound to explore the caves and the ocean hole. 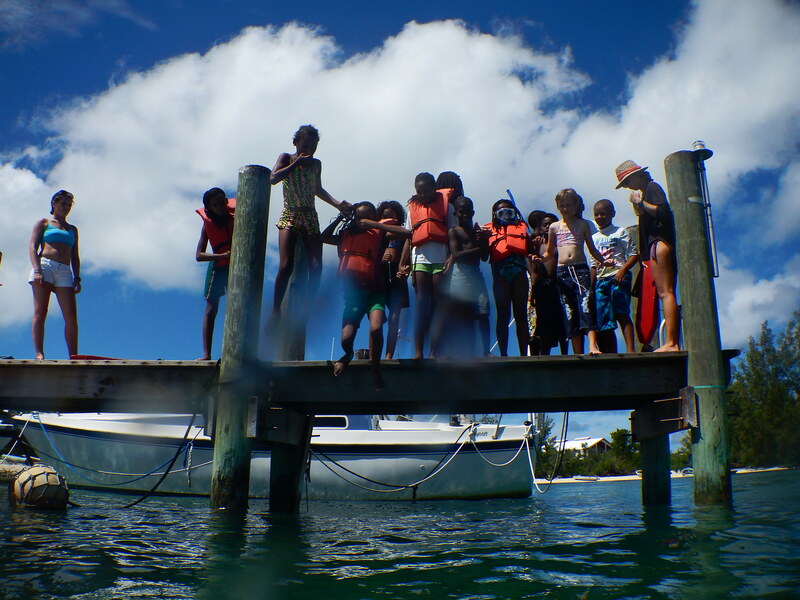 The whole week was filled with many educational opportunities about the natural resources that the campers encounter in their daily lives living on the island. We hope that the kids will take these life-long lessons in water conservation and sustainability back home and incorporate them into their lifestyles. Previous PostEarly Learning CenterNext PostFirst Days of Fall 2013!